For the past seventeen years, the Cleveland International Classical Guitar Festival has brought some of the world’s finest classical guitarists, lutenists, lecturers, composers, teachers, and guitar makers to the Cleveland Institute of Music for three days of concerts, masterclasses, lectures, and demonstrations. Beginning on Friday, June 8 and continuing through Sunday, June 10, the 2018 edition of CICGF will feature thirteen artists and ensembles, five concerts, nine master classes, and three lectures. Click here to view the full schedule. Tickets are available online. 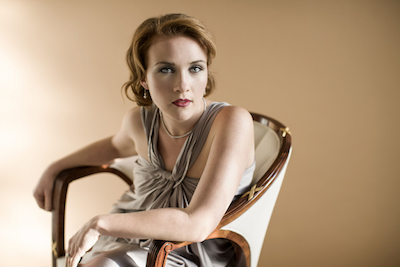 After first performing together at Music@Menlo in 2010, then following that up with an appearance at the Kennedy Center, mezzo-soprano Sasha Cooke and guitarist Jason Vieaux have long had their eyes on a reunion concert. The pair of Grammy winners will get that chance this May. 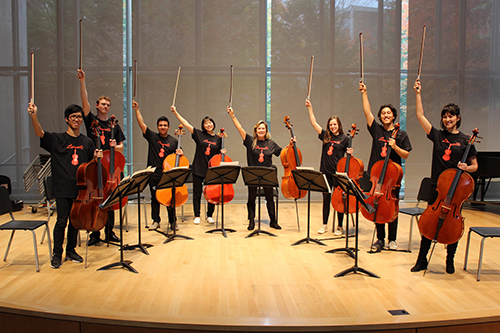 They’ll head to the University of California, Davis for a performance on Friday, then cross the country to Plymouth Church in Shaker Heights for a joint recital on Tuesday, May 8 at 7:30 pm. The program of Spanish and American music is co-presented by Cleveland’s Classical Guitar and Chamber Music Societies (CCGS and CCMS). ClevelandClassical.com’s own Daniel Hathaway will give a pre-concert lecture at 6:30 pm. 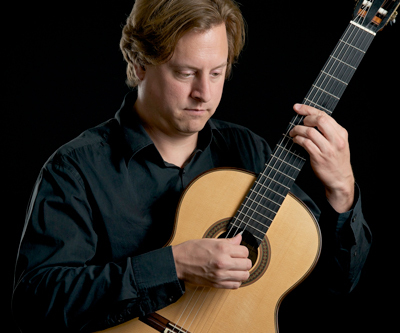 The weather may have been frigid on Friday evening, February 2, but the capacity audience that gathered inside John Knox Presbyterian Church in North Olmsted was warmed by the mellifluous playing of the excellent classical guitarist Jason Vieaux. The concert was presented as part of the church’s Performance Series. 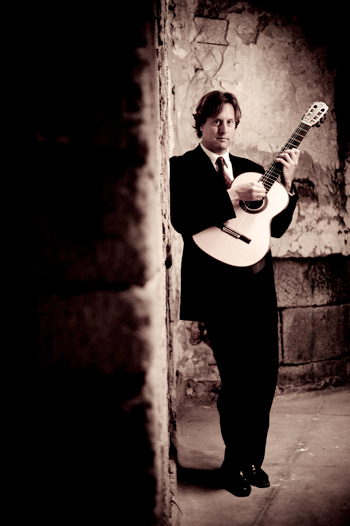 Life is good for classical guitarist Jason Vieaux. 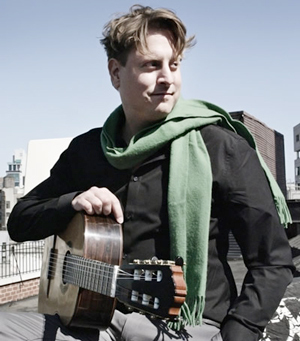 His recent performances include appearances at the Caramoor Festival, Chamber Music Society of Lincoln Center, Philadelphia Chamber Music Society, Buenos Aires’ Teatro Colon, and Amsterdam’s Concertgebouw. This season he will collaborate with the Escher Quartet, mezzo-soprano Sasha Cooke, violinists Anne Akiko Meyers, Kristin Lee, and Tessa Lark, harpist Yolanda Kondonassis, and accordionist Julien Labro. “I don’t know how all of this happened. I call up these fantastic musicians and they all want to work together,” Vieaux said by telephone while he was on a layover in Washington D.C. Although Vieaux said that airports are his home away from home, he will actually be at home in Cleveland this week. On Friday, February 2 at 7:00 pm at John Knox Presbyterian Church in North Olmsted, he will present a solo recital for the Church’s performance series. The evening will feature classical and contemporary music from Italy, Spain, Germany, Argentina, Brazil, and the U.S. — including selections from Vieaux’s 2015 Grammy Award-winning album, Play. Admission is free. While November has only recently arrived, many people find themselves already planning for Thanksgiving. For some in our community, however, such planning isn’t as simple as deciding who will cook the turkey and who will bake the pies. Tens of thousands of people in Northeast Ohio will instead be wondering if they’ll have food at all for Thanksgiving, an uncertainty many of them face throughout the year. Some of Cleveland’s brightest musical lights have decided to do something about this problem. On Sunday, November 19 at 2:00 pm, well-known performers including cellists Sharon Robinson and Keith Robinson, violinist Jinjoo Cho, harpist Yolanda Kondonassis, guitarist Jason Vieaux, and trumpeter Michael Sachs will present a benefit concert for food relief at the Maltz Museum of Jewish History. Needing an encore for a concert the next day, guitarist Jason Vieaux woke up in Boston to a mild earthquake, turned on the TV to an Obama-Romney presidential debate, and thought to himself: Everybody Wants to Rule the World. 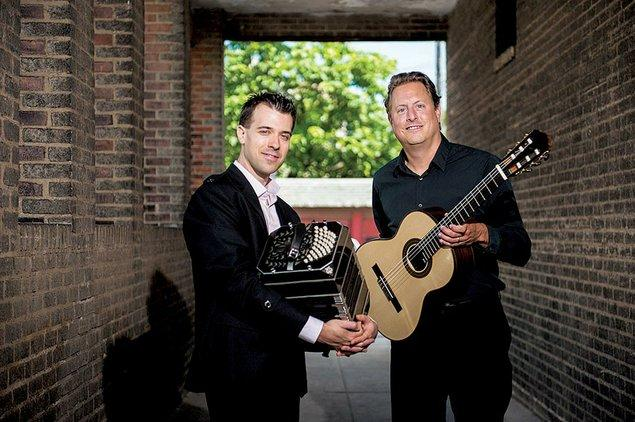 The arrangement would go on to close out the duo’s 2014 Cleveland International Classical Guitar Festival performance and cap off their 2016 album Infusion — which also includes works by Piazzolla, Metheny, and Brouwer. For the 2017 edition of CICGF, the Grammy Award-winning Jason Vieaux is taking things in a different direction. On Friday, June 9 at 7:30 pm at the Cleveland Institute of Music’s Mixon Hall, he will open the Festival with a solo program of Sor, Bach, Ponce, Ginastera, and Morel. 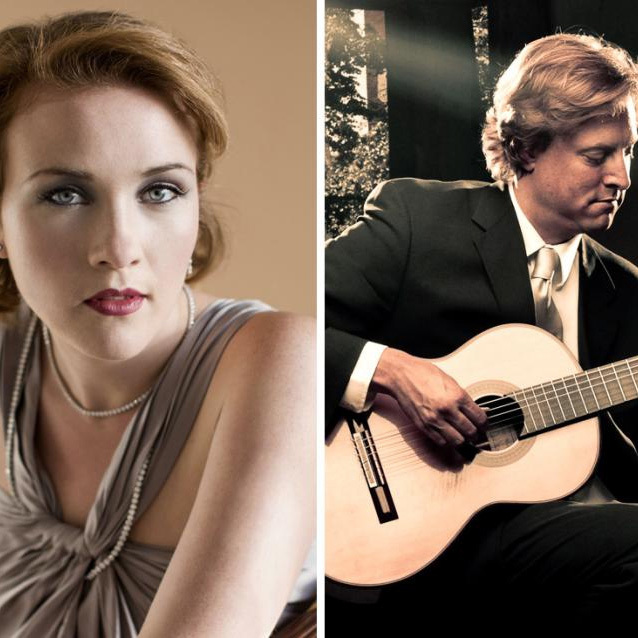 Beginning on Friday, June 9 and continuing through Sunday, June 11, Guitars International will present the seventeenth annual Cleveland International Classical Guitar Festival at the Cleveland Institute of Music.